White hat SEO is a technique in which we use different optimization techniques to target the post for your audience. This is a tactic to scale your website according to your audience. It is not exaggeration but your website content without SEO is just like a cone ice cream without an ice cream at the top of the cone, which is not appealing to any customer or even visitors, who are just there to check cone ice cream and its toppings. A website that is optimized while it just focuses on materiality is considered to be amended with white hat SEO. Few examples of white hat Seo are adding links to your website in your other articles, using appropriate keywords and relevant descriptions. Generally, White hat SEO is the practice which improves your website ranking for Search Engine Result Pages (SERP), while keeping the integrity and following all terms and conditions of any search engine. 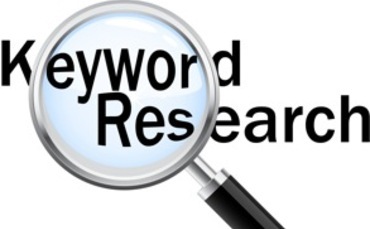 Research any keyword phrase, probably 2-3 words long, write content about it and repeat that keyword in your article such that the maximum keyword to text ratio does not extend 1%. For example a 500 word article should not have the keyword phrase more than 5 times. In this way, when you publish this article, the database of all the search engines, when they run query of any user who will search by using that keyword phrase, your article will take place in search results of that user. Getting to the top requires extensive SEO that depends on other factors. But this will generate more traffic to your website through the search engines. Create such content that must provide an answer to any user query. Providing solutions to the user will generate public interest in your content and users will read your article frequently. If you search or write content in one of these categories, it may help you more in getting the attention of the reader. Insert relevant links in your compositions. If you insert these links, it will help readers to read or gain more knowledge about their task or query. Moreover, you can refer to your own posts. You can paste the link to your own website's related article. Internal link is a key factor for white hat SEO. Improve your marketing plan. Give your competitors a high challenge by producing high-quality articles, which must be optimized using white hat SEO techniques. 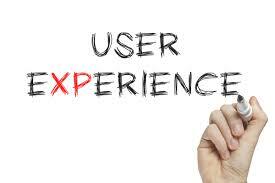 Always consider user experience, how a user will feel after reading your content. This is the best tip for digital experience. Use human-computer interaction techniques to make it work more for your reader. It will enhance customer loyalty. If you are aware of HTML, it is a must for web developers to know the basics of web language used on the internet, it is very easy to learn, SEO experts utilize it for their benefits. You can use HTML meta data for your keywords to make them more enhanced and emphasized in web pages.This is part of the off page SEO that is required for the better performance of your blog. I hope you now know What is SEO. This is a part of my Beginner's guide to starting a successful blog. Also I hope this article helps you with your white hat SEO efforts. which is by far a superior technique for Search Engine Optimization (SEO) than Black Hat SEO because of its durability. Don't forget to follow my blog Ali Khan Blogs on facebook & Twitter.